Na początku czerwca 2018 roku na terenie osławionego zamku w Kamieńcu Podolskim oraz Chocimiu rozpoczęto realizację wyjątkowego projektu filmowego, który ma zaprezentować cykl filmów i reportaży z terenów dzisiejszej Ukrainy dotyczących polsko-ukraińskiego dziedzictwa historycznego pt. : „Polska i Ukraina. Śladami historycznego dziedzictwa”. Projekt został objęty patronatem medialnym przez portal Historykon.pl. The project impresses with its scale, as it is planned to create over 100 films this year, which will show selected architectural heritage objects created during the Polish-Lithuanian Commonwealth. The list of places is very wide and apart from castles and fortresses will also include palaces, churches, etc. 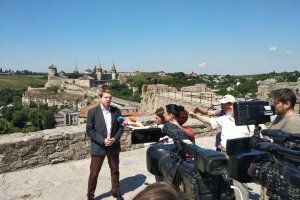 The project is supported by the Ministry of Foreign Affairs of the Republic of Poland and is implemented by the Association Integration Europe-East, in partnership with the Polish Institute in Kyiv, whose director Bartosz Musialowicz is the initiator of the project. Media patronage has taken over the Historykon.pl portal. 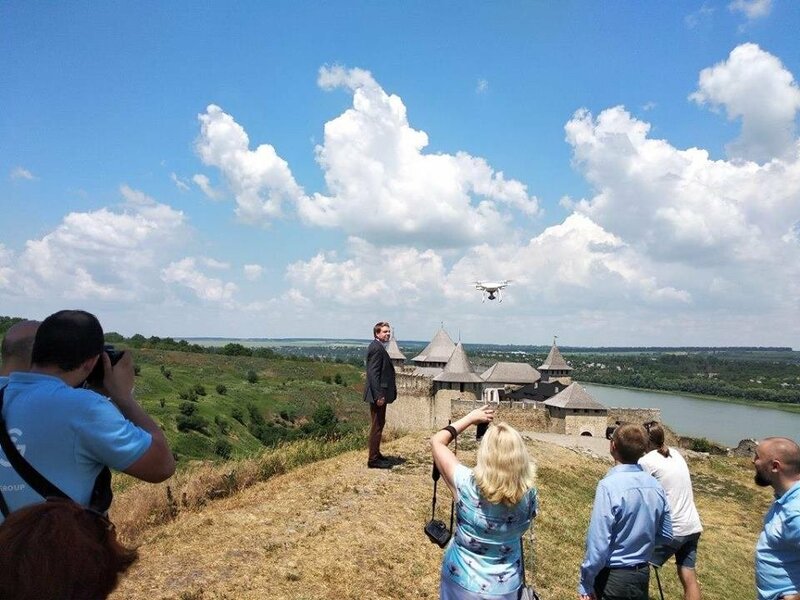 The film recordings will be made from the drone by a professional Ukrainian Communication Group film team. 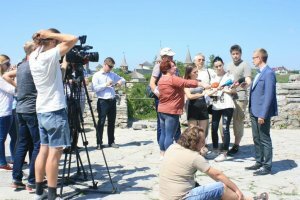 The film team is formed by a Polish-Ukrainian team composed of historians, publicists, journalists, non-governmental organizations and young people. 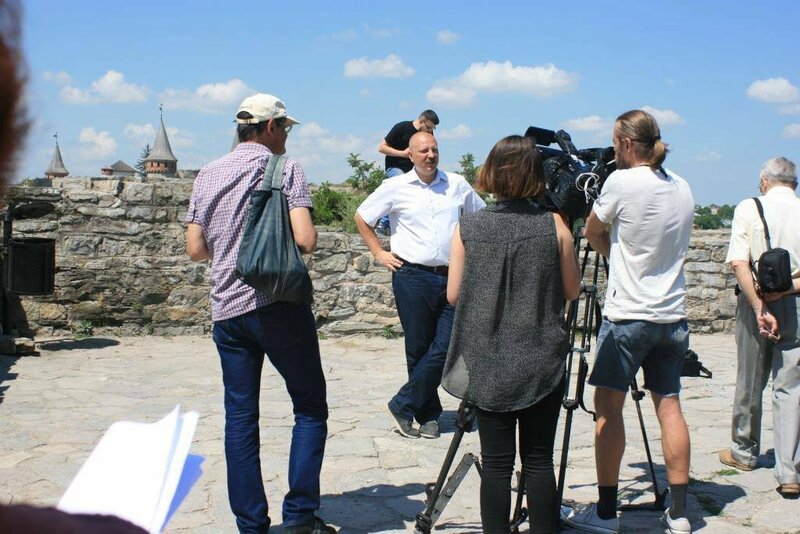 The films will be in three languages ​​and will be labeled with descriptions created by Polish-Ukrainian historians. The Polish side will be represented by Dr Radoslaw Sikora and Dr Zbigniew Hundert, and Ukrainian by Dr Oleksandr Alfiorov and Dmytro Antoniuk. 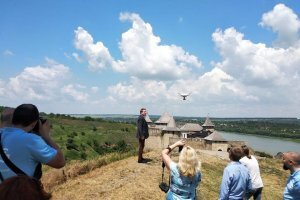 The aim of the project is to document the heritage and interest of Polish and Ukrainian societies in its importance. An important point of this undertaking is also drawing attention to the often tragic state of these objects. The project has managed to attract Ukrainian media. During the inauguration, a large number of journalists representing leading Ukrainian TV channels (ICTV, Channel 5 and Espresso) participated, as well as the editorial offices of popular and nationwide magazines: Zerkalo Tyznia, Ukrainian Journal, Dilowa Stolica and Polish magazines in Ukraine: Polish Word, Kyiv Journal. Journalists had the opportunity to become familiar with the project. The whole undertaking will be presented on a dedicated website and YouTube channel. It's also worth to follow the project on Facebook profile.